A colour coordinated box set of Sennelier natural shellac-based glossy ink. 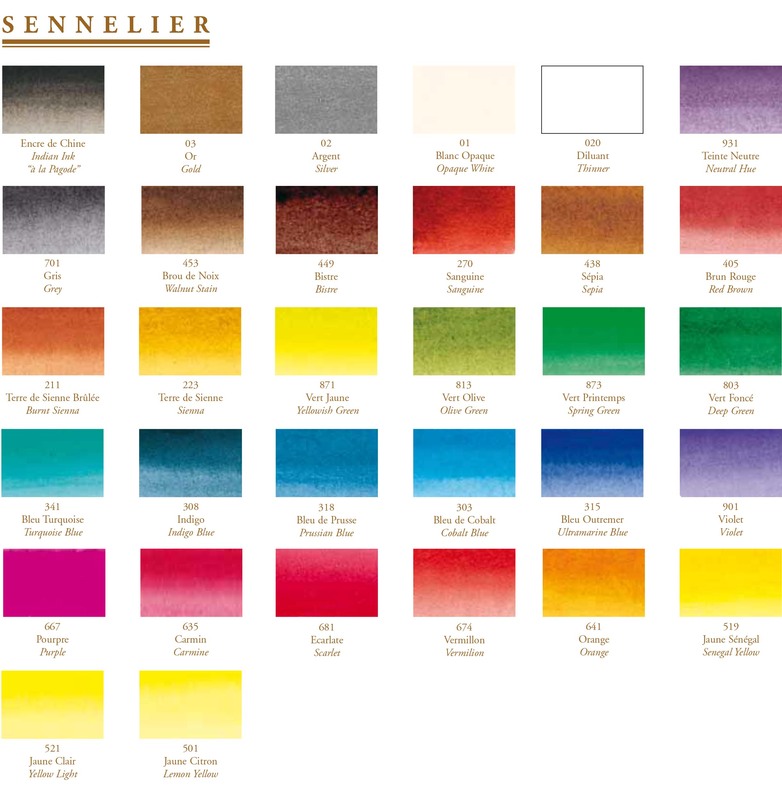 Sennelier Artist inks are extremely rich and give each colour a unique brilliance, shine, brightness and intensity. Sennelier Artist Inks are quick drying a provide a high degree of water-resistance once dry. Colours can be thinned with water and can be superimposed or intermixed. Apply with a brush or drawing pen and wash tools thoroughly after use. The Primary set contains the colours Lemon Yellow, Scarlet, Cobalt Blue, Opaque White and a Black Indian Ink. 5 x 30ml bottles with droppers.